“There is no failure, only feedback.” ~ Robert Allen. If you take a minute and really ponder about this saying… you’ve got it made with regards to everything you press forward to do in your life! Because people are often afraid to move forward for fear of failure as they move toward the lifestyle they want to create. There’s so much fear of judgement, fear of what others will think of them, fear of success, fear of this and that and the other thing. People give up on their entrepreneurial ventures in the name of failure, or the fear of failure every day. In fact, 98% fail and it’s because of the product or comp plan or anything like that. It’s because of their best thinking and their desire to succeed. So what can I do to help you overcome that? What if we just removed failure altogether? Going forward, you can now view your life, your relationships, your business ventures, any new thing you want to do, as feedback. If what you are trying to do is not working, it’s just feedback that you need to do it a different way. 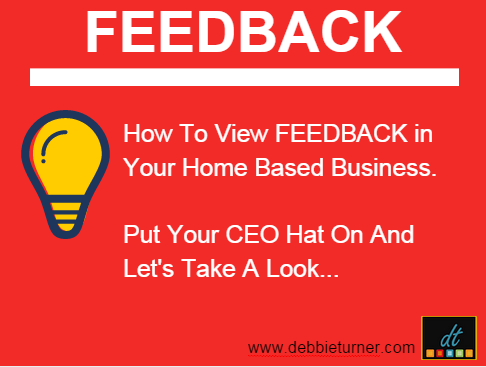 Let’s take a look at possible feedback in your home based business. If you write an email and nobody opens it…it’s not failure. 1) The email needs a more interesting subject line. 2) The email address you’re using to send from is causing deliverability issues. 3) The email client you chose is having deliverability issues. 4) The subscribers aren’t getting value from you and should unsubscribe. If you make a video and you’re not getting views… it’s not failure. 1) This video isn’t connecting with your target market. 2) Check your tags, title, description and keywords. 3) Is it a good picture, meaning is there is dirty dishes in the background or clean and tidy? 4) Check your confidence level. 5) How’s the authenticity of your message? 6) How’s the lighting and sound? If you place an ad and you get no opt-ins to your list… it’s not failure. 1) This venue isn’t connecting with your target market. 2) Your headline isn’t interesting enough. 3) Your ad copy body needs to say something different. 4) Your ad is fine but you need to change the ‘next step’ you’re asking your viewer to go through to be more congruent with your ad. If you are blogging and you have no views… it’s not failure. 2) Make sure your SEO steps are complete. 3) Make sure your keywords are even being searched. lf you’re feeling poorly because you haven’t made a sale, it’s not failure. 1) Read 30 min a day personal development topics. 2) Listen to personal development audio for at least 30 min a day. 3) Doing income producing activities every day. You see, these are all things that go along with learning to market. No big deal! Monitor what you’re doing everyday and see how things are working for you. Then, like a commanding a ship at sea, adjust your course. He just discovered 10,000 ways something didn’t work. I’m so glad he didn’t give up! I’m glad he viewed his process of discovering the light bulb as feedback. It’s all how YOU decide to identify your results. It’s all discovery and feedback. Look at your business as just that. When I was a girl and learning how to sew, I can’t tell you how many times I had to rip a zipper out, or a seam that went crooked or a piece of fabric that got caught in the needle’s path and I wasn’t paying attention. I remember every time I realized I had made a mistake, there was drama. Lots of drama. I laugh looking back but at the time it was not funny at all. As the years went on, I still needed my seam ripper (I had a collection!) but I needed them less often. the material didn’t lay right. 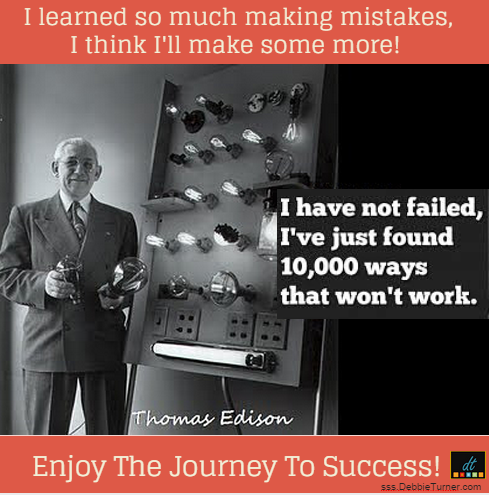 Believe you me… mistakes were awesome because I made them less and less! While you’re receiving feedback as you grow your business, try to celebrate feedback and be excited about where you’re headed. Know that you’ll get there. Have fun, learn to laugh at yourself, love life, and enjoy your journey! 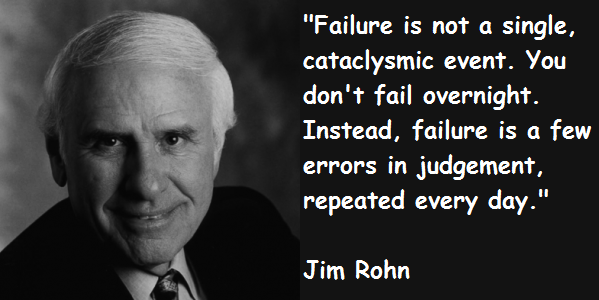 Re-frame your thoughts and the word “failure”. 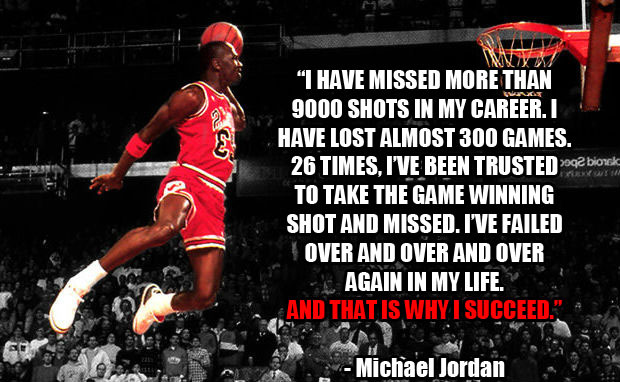 Never again will you fail. You will only receive feedback. Hopefully you are practicing this in your home even with your children. they fall down as they learn to walk. they fall off the bike before they learn to balance. they scribble before they draw. the bat misses the connection with the ball before they get to first base. Are you telling them they are failures? they will walk with falling..
they will balance and ride their bike..
they will draw and sketch and it will be their unique art style. they will hit the ball, however far it goes. If you think there’s some bologna about failure being feedback, look how many famous people celebrate failure toward the success they accomplished. It took these from a site call Self Help Daily. It’s a pretty cool little site if you’re ever looking for quotes. Failure is an event, never a person. 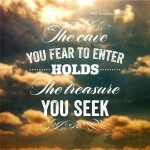 – William D. Brown, Welcome Stress! Have an awesome ‘No Failure, Only Feedback’ day! What are you doing right now to effect change in your life, to create abundance, to share your gifts and talents to impact the world and to prepare to change lives? You can see some of the business things I’m doing here. 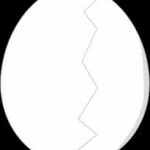 Why Does One Home Business Owner Fail and the Other Succeed?